This section includes descriptions and pictures of other projects in which Paul Waaktaar-Savoy has been involved. On 8 February 2014, Paul released his first track (download only) under the name "Waaktaar", the song is called "Manmade Lake". This track was originally recorded by a-ha and intended for the album "Foot Of The Mountain", but never included. Paul re-recorded the song for himself. The cover art features a colour shot of a lake with a hill behind. 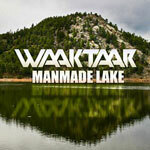 "Waaktaar" and "Manmade Lake" are printed in large white letters over the bottom of the hill. Paul Waaktaar-Savoy and "Ours" frontman Jimmy Gnecco project "Weathervane" release their first single "Weathervane" electronically in Norway. This song features in the movie "Hodejegerne" (Headhunters) which premieres in Norway on 26 August 2011. The cover is white with a large grey W and V in the centre plus the title in black across the middle. 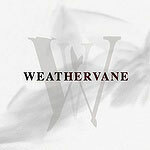 The download includes only the track "Weathervane" (4:24). There is also an digital press pack which includes a PDF of a sleeve which is white with "Weathervane" printed twice in the bottom left hand corner of the front sleeve and the same titles plus the track information on the back sleeve. It features two tracks, "Weathervane" (4:24) plus the "Radio Edit" (3:58) of the same track, available for streaming from 18 August. The press pack also includes a promo picture of Paul and Jimmy which is essentially a black and white shot with parts of the picture coloured blue and green. 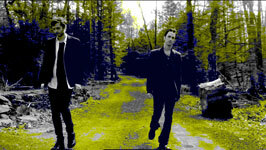 The Norwegian band "Furia" released their 12 track album "Peace Of Paradise" in Norway on 20 November 2006. Paul Waaktaar-Savoy sings duet on the radio single "Goodbye Sweet Sorrow" (track 6). The album was released in Germany on 24 November 2006. On the same day as they release their new album, Furia release their radio single "Goodbye Sweet Sorrow" in Norway. Paul Waaktaar-Savoy sings duet on this track. No further details. Norway Goodbye Sweet Sorrow Virgin/EMI ? In 1998, the Norwegian band deLillos released their first best of-compilation, entitled "Gamle Sanger om Igjen". The album includes 18 old songs from their career, and one new song called "Tyve Null Tre" (track 19) which was produced by Paul Waaktaar-Savoy. The cover shows a picture on the band standing on a boat with the band logo printed in blue at the top of the sleeve. The title is printed in white letters towards the bottom of the sleeve. Norway Gamle Sanger om Igjen Sonet ? The song "Tyve Null Tre", produced by Paul Waaktaar Savoy was also released as a promo-single. The cover shows parts of a world map, with most of North and South America included, but the map is turned upside down. A video was also made for the song. Pål was involved in remixing the single "Dance With The World" in 1985. The cover features a shot of the artist standing on a rock with his name printed in large pink letters across the middle.